Scott Stossel is the editor of The Atlantic magazine and the author of the New York Times bestseller My Age of Anxiety: Fear, Hope, Dread, and the Search for Peace of Mind, which has been short-listed for the 2015 Wellcome Book Prize, and the award-winning Sarge: The Life and Times of Sargent Shriver. His articles have appeared in a wide array of publications, including The Atlantic, The New Yorker, The New Republic, The New York Times, The Washington Post, The Boston Globe, The Wall Street Journal, and The Daily Beast. His 2004 book, Sarge: The Life and Times of Sargent Shriver, inspired The Boston Globe to write, "Scott Stossel's superb new biography is an extraordinary achievement," while Publisher's Weekly declared, "This is a superbly researched, immensely readable political biography." 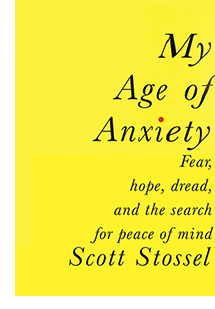 His most recent book, My Age of Anxiety: Fear, Hope, Dread, and the Search for Peace of Mind, became a top-ten New York Times bestseller in its first week of publication. In 2014, Scott was awarded the "Voices of Mental Health Award" by the Jed Foundation, and the Erik Erikson Institute Prize for Excellence in Mental Health Media. 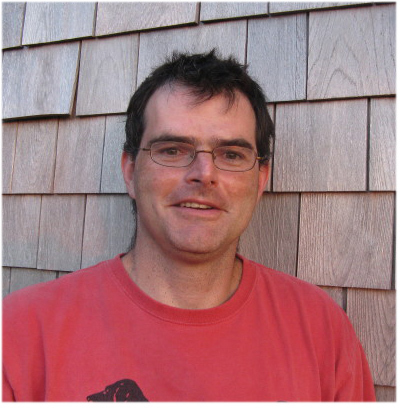 Scott has been associated with The Atlantic since 1992 when, shortly after graduating from Harvard, he joined the staff and helped to launch what was then called The Atlantic Online. In 1996, he moved to The American Prospect magazine where, over the course of seven years, he served as managing editor, executive editor, and culture editor. He rejoined the Atlantic staff in 2002. Originally from the Boston area, Scott has lived with his family in Washington, DC, since 2006.